Most people don't intentionally miss their dental appointments. The date may simply slip your mind, and before you know it, weeks, months, or years have passed. You may feel embarrassed about missing your cleaning and the state of your teeth, but we have one piece of advice – don't! You should never feel ashamed about missing your dental appointment. Simply give us a call to reschedule and get back on track. 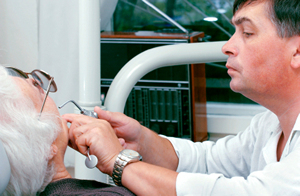 The American Dental Association recommends that you see your dentist every six months. While brushing and flossing are the cornerstone of good oral health, you still need to see your dentist regularly. • Detection of dental problems early when they are still easy - and inexpensive - to treat. Your dentist will examine your gums, check for cavities, and inspect your throat, tongue, and neck for any signs of a problem. • Remove tartar. Dental plaque can be removed at home, but if it accumulates and hardens, tartar forms. You can't remove tartar without the help of your dentist. • Improve your self-esteem. Your smile says a lot about you, and with a healthy, beautiful smile, you may feel more confident. • Retain your teeth. Advanced gum disease can lead to damage of the bone that supports your teeth. Cleanings can prevent this problem. • Set a good example. When your children see you visiting the dentist regularly, they'll follow your lead and prioritize good oral health. • Prevent bad breath. Bad breath may be a result of gum disease or poor oral hygiene. Regular cleanings and checkups are a great way to prevent this problem. Whether it has been a few months or a few years since your missed appointment, don't ever feel any shame. Simply give us a call and let us help you get your oral health back on track. As a patient, three things stand out to me about Cooley Smiles - the great quality dental work, the cleanliness of the facility and thorough follow up. These are major differentiators that I look for in dental providers and to-date, I've always been satisfied with my experience. Thanks for the great patient care, Cooley Smiles team!